WANKULUKUKU – Express FC will host URA in their first league game of the season at Wankulukuku on Tuesday afternoon. The Red Eagles had to wait a little bit longer than everyone else after their opening fixture away to Mbarara was postponed following the Ankole Lions’ failure to present a home ground to the FUFA Licencing committee. On Tuesday, a familiar name will be in the opposite dugout as Sam Simbwa, who led Express to their last league title in 2012 returns as URA FC head coach. 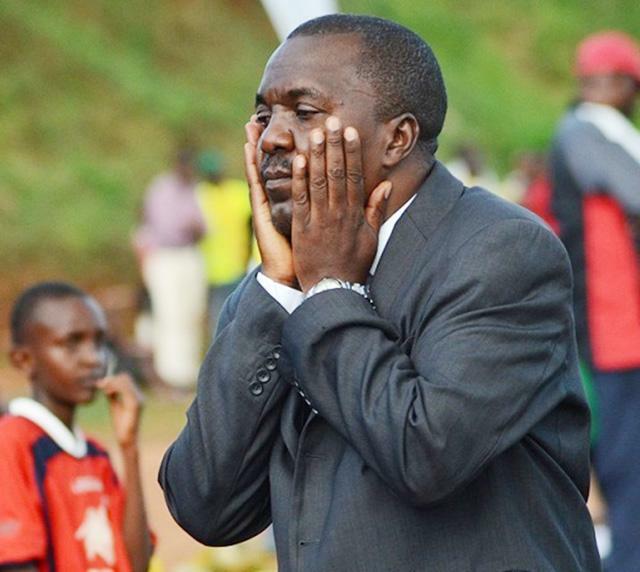 Many Express fans would have loved if he was the one in charge of the Red Eagles under the new management of Kiryowa Kiwanuka but will have to bear with the fact that he is gunning for three points with another side. Simbwa who masterminded a 2-0 matchday one victory over Paidah Black Angles travels to his beloved Wankulukuku stadium with several concerns as up to eight of his players have not had the best of rest building up to Tuesday’s encounter. “We have already prepared well for the game, said Simbwa in an interview on Monday morning. “My major concern is player fatigue as eight of my players were involved in the FUFA Drum game on Sunday on top of featuring in our league opener last Friday. “We did not train properly for the game but i will not use that as an excuse. On Express as Tuesday’s opponents, the former KCCA FC tactician had this to say. “Express FC are fresh than my side because unlike us, they did not play on Friday. “It will be a tough game because they have a good team, good coach and good administration but our target is to win and we shall fight for not less than a point. Meanwhile, Kefa Kisala is confident his side will triumph but admits being a new team playing their first competitive game, the gelling may not be superb. “We play a side that won their first game but our target is three points, said Kisala. “We are a new team in terms of squad and that may affect us in the first game but we have a squad stronger than one we had last season. Kisala took over at Express in June, just over a month after Shafic Bisaso had saved the Red Eagles from relegation. Express defeated URA 1-0 in the reverse fixture last win. The victory at Wankuluku last season was the Red Eagles’ first at home to URA since 2009 (D5 L2). However, URA has not defeated Express in a league game since May 2015. In that period, the Tax Collectors have lost two and drawn the remaining four fixtures. Express have won four of their last seven league home games (D2 L1). URA on the other end go into the fixture having won only one of their last eight away fixtures (D2 L5).